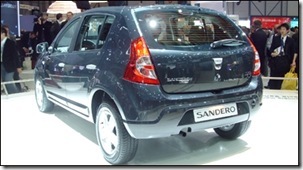 The new Dacia Sandero, launched in premiere at Geneva Motor Show, started great controversy on the auto market. Analysts say Sandero will be preferred in Romania and in eastern Europe by business clients and in western Europe will compete with Clio and Logan, because at the same price it has a better design. The vice president of Dacia, Constantin Stroe said "Dacia Sancero is a popular car for all people, young and old". 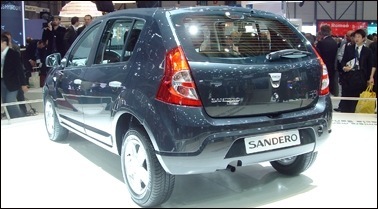 Although it will be a "low-cost" car, the press from France wrote that for every Sandero produced in Pitesti Dacia will earn 15% of it’s price. 4000 french: "I love my Dacia"